A multi-million-pound scheme of 13 luxury apartments has been unveiled at a former garage site in Altrincham. The Tannery is located on Back Grafton Street in the Goose Green Conservation Area of the town. Comprising one-bedroom apartments ranging between 450 and 500 square feet, The Tannery is set over four floors. It revitalises a 0.05 -acre site that was the former home of a workshop which had fallen into disrepair after being left vacant since 2006. 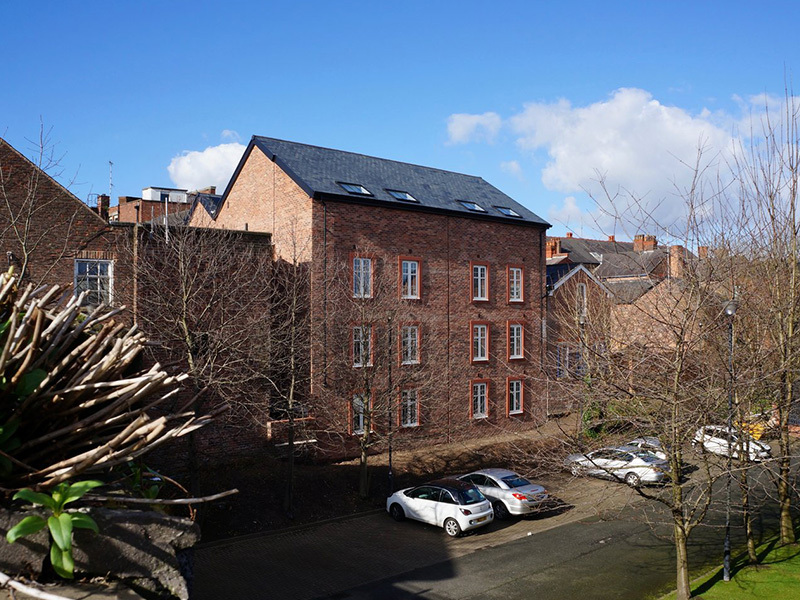 Ewen Miller, Managing Director at Calderpeel Architects, said: “The new scheme at Goose Green transforms a dilapidated site which had become somewhat of an eye-sore for local residents over the ten years it had been left derelict. Calderpeel has designed the scheme on behalf of Novo Property Group, a prominent local developer, also based in Altrincham town centre. Novo has already sold all the apartments to a mix of investors and owner-occupiers.